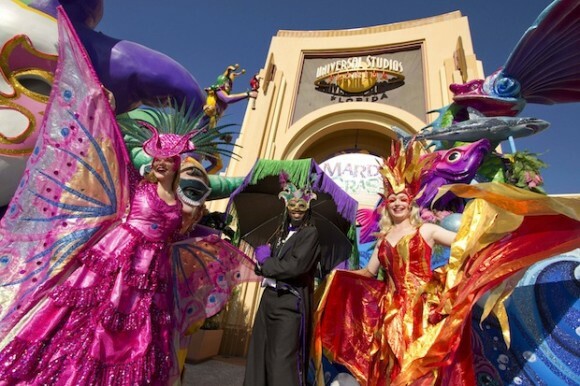 Special events can be a critical element a theme park’s financial success. Buzz Price Thea Award winner Ron Miziker shares some tips for success from a lifetime in live entertainment. Years ago when I was producing events for Knott’s Berry Farm, revenues from those events were responsible for generating a large part of the park’s profit. When I was director of entertainment and show development for the Disney parks worldwide, part of my team’s efforts was creating a full calendar of events for Disneyland. This was because Disneyland’s attendance, unlike Walt Disney World’s in Florida, is locally based, primarily Southern California. Consequently the marketing folks were always looking for something new to promote and give a reason for people to come back. Special events provided such an incentive as well as giving a different look to the facility. These events went well beyond celebrations for Christmas and the Fourth of July. 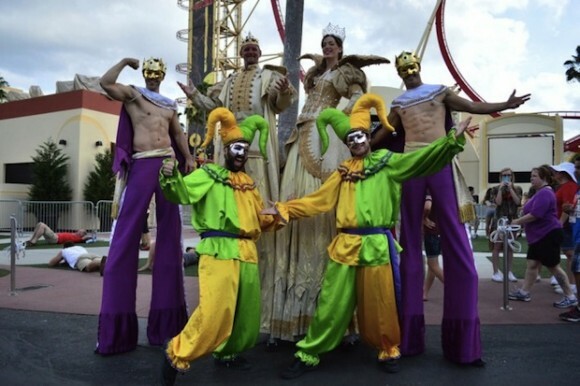 Standard events at US parks over the years have included country music nights, jazz festivals, Christian music nights, date nights and Brazilian-style carnivals. Anything to get the media and public’s attention! At Disneyland we targeted various ethnic groups with a Chinese New Year celebration, an Irish Festival near St Patrick’s Day, a Japanese Festival, a Vietnamese Celebration, and so on. Our Cinco de Mayo Mexican celebration featured a gathering of Charros (proud horseman on glittering saddles), something not seen at other Cinco de Mayo gatherings. Easter was a huge event highlighted by a spectacular ol’ fashioned Easter Parade with antique cars and bicycles decorated with flowers, early 1900s-style costumed dancers, suffragettes, barbershop quartets and of course the Easter Bunny. We also picked obscure occasions or reasons upon which to create events. For the Biosphere2 science research facility in Arizona we brought in leading chefs to create dishes made with food found in a space station. At PortAventura park in Spain, we presented a festival of Gigantes y Cabezudos (giants and big heads) by collecting costumed figures several metres high. Carried over a person’s body as they perform, these are popular at parades and events elsewhere in Spain. 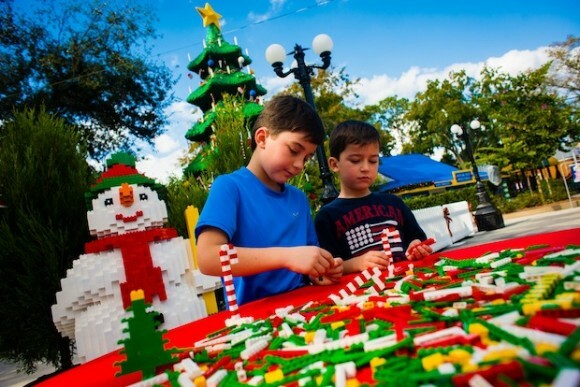 Many of the events highlighted so far were included within their respective park’s regular admission price. Events requiring a special ticket, called “hard ticket” events, are also common. For Knott’s, its biggest annual event is the famous Halloween season, known as Knott’s Scary Farm. It was, and still is, the godfather of Halloween events. Now many parks copy many of the traditional elements of this popular “haunt”. 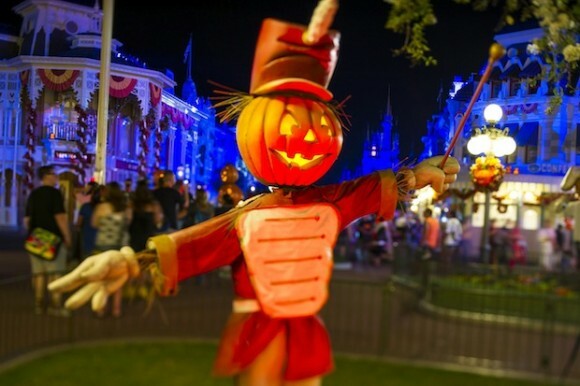 Even nearby Disneyland, after many years of ignoring the holiday, offers an alternative in the form of a softer, non-scary, no gore, event designed primarily for the younger crowd, or perhaps more precisely the parents of children who don’t want their children exposed to the more gruesome side of Halloween. Very cleaver counter programming. Create an annual calendar of events, mixing the obvious periods such as Christmas and Halloween with different types of events in the traditional slow periods. The latter boosts annual attendance and profitability. Should it be an event included as part of the normal entrance fee or a hard ticket event? Knott’s Scary Farm, and other Halloween events like it, work well because the park is closed at the normal hour then reopened later in the evening as a ticketed event. The event also utilises the drama of the night to create atmosphere. One advantage of hard ticket events is that the additional revenue from the event’s ticket sales allows for bigger budgets for production. Make sure the event lives up to the hype. It takes a good deal of production, and costs, to add enough of the elements necessary to provide a different experience to your guests. If it is going to be a event, make it special! 4. Good events have multiple, but related elements. Many things should be special throughout the park including street entertainment, shows and concerts. A parade must relate to the theme, and even the food dishes too. The visual impact from the front gate through to the main crowd areas and the performance spaces really make the event. 5. Target your event to a specific audience. 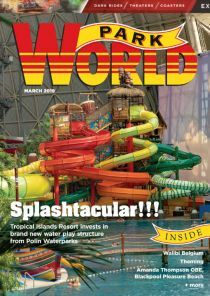 This not only helps to get media attention, but brings in an audience that may not typically come to your park. 6. Evaluate the event afterwards to determine what worked and what didn’t. This helps everyone to decide if it is worth doing again. By repeating successful events and keeping all the materials to use in successive years, you can spread the cost. Also you now have a stock of resources, making it easier to restage the event next year. 7. If planning a new park or area of a park, dedicate some of the construction money to things such as building in power and control lines so that sound and light systems can be easily be placed there when you stage an event. I’ve been intrigued by some of the villages and towns in Germany where their public squares are all set for events and festivals. Built into the paving are utility boxes over the entire square. When it comes to time for the event, canopies are placed over these boxes and water, electricity and sewer are instantly available. I suggest the same should be done in theme parks. 8. Be creative with the event. Don’t just do the expected. If your event has the same elements as all the other attractions in your area, your chance for success is diminished. Sometimes the right “twist” makes it special. One year at Knott’s, I was unable to get a headliner for the ticketed New Year’s Eve party, so we advertised that at midnight we would have the world’s largest group dance …all 30,000 guests dancing together to the same song to celebrate the New Year. It worked. The media caught on to the idea, our event sold out before any of the competition, and I didn’t have to pay out a lot of money to a headliner. Most importantly, everyone had a fun time, and the dancing went on well into the early hours! I found that successful events build upon themselves every year and get bigger and bigger both in added elements and attendance. Our surveys showed that some people wait to return to the park until the added value of the event they particularly enjoy returns. For those with the responsibility of staging events, I stress the importance of thinking about the project the same as one would a show. For the audience attending, the experience must include a beginning, middle and end. Concentrate on that first impression as well as what will be the guest’s final impression. Often these are what they remember most about their visit and what they tell their friends about, but the middle experience cannot be forgotten either. Again, like a show, this middle must provide a sequence of highs and lows. Good luck and may all your special events be spectacular! 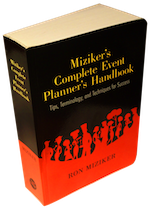 Event Planner’s Handbook, just published by the University of New Mexico Press. 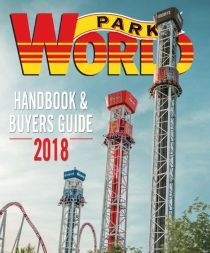 The comprehensive, 482 page book is available from the IAAPA Bookstore, Amazon, Barnes & Noble and all leading booksellers. An e-book is available from Amazon, iTunes and Nook.